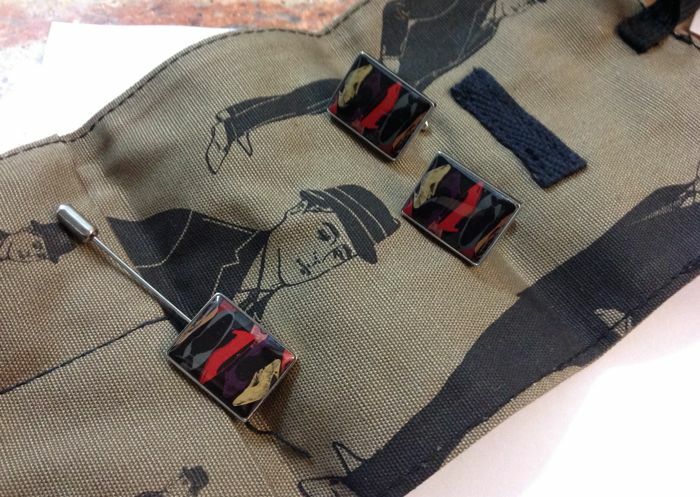 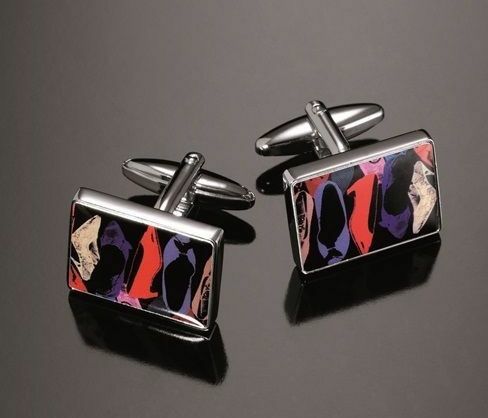 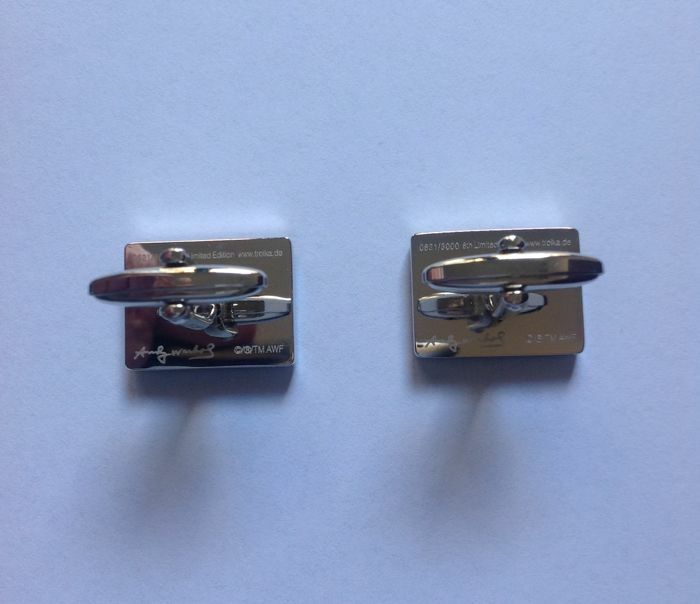 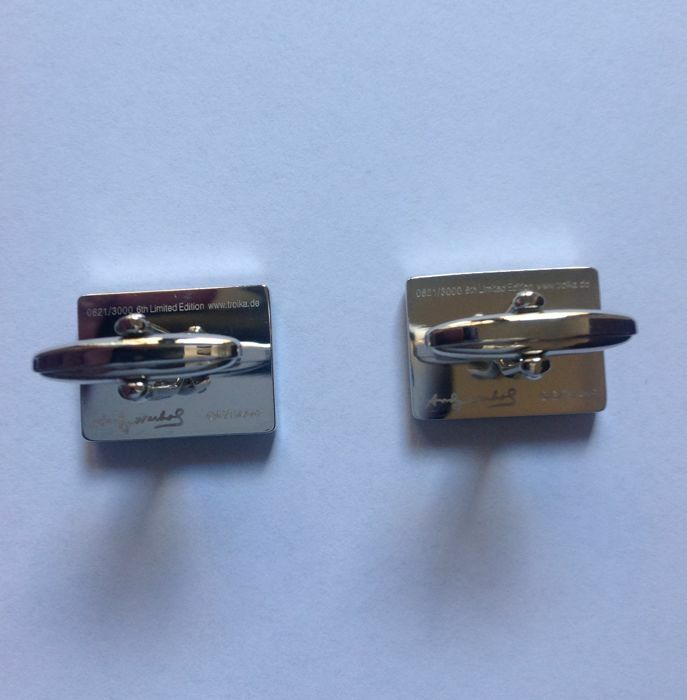 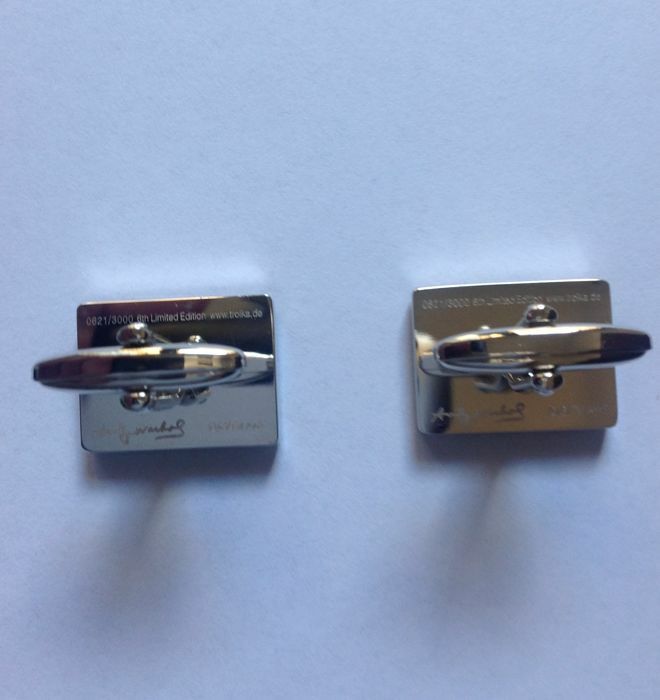 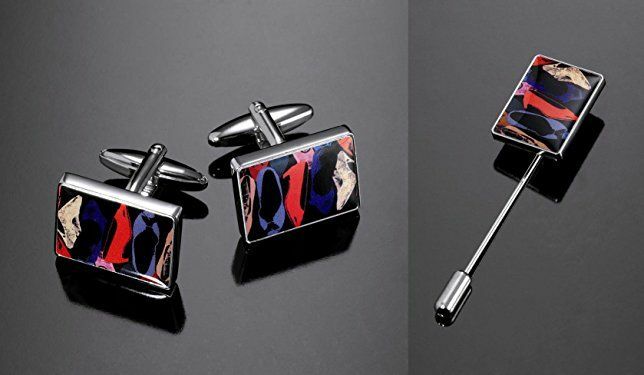 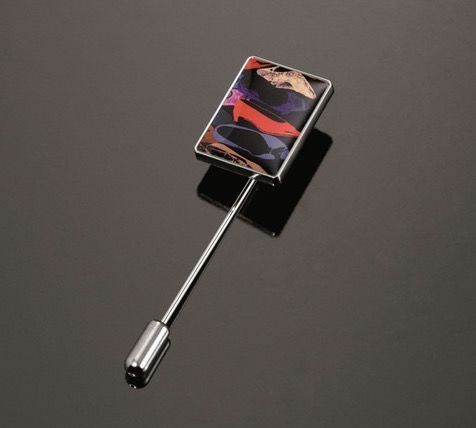 Cuff links and tie pin, limited edition. 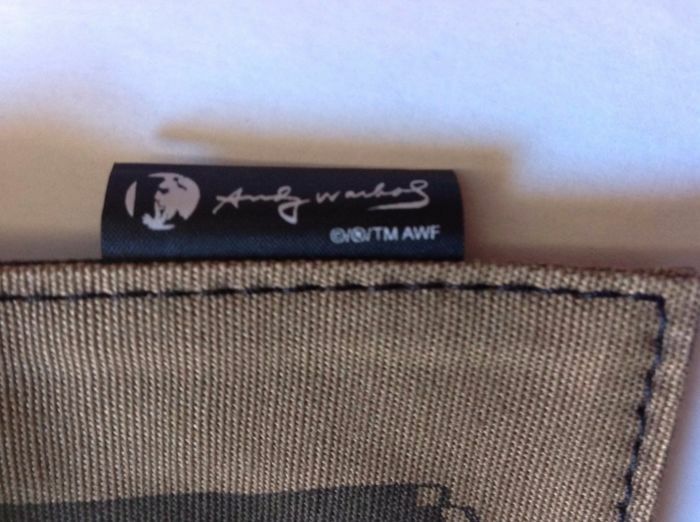 Engraved numbering and signature by Andy Warhol on the back. 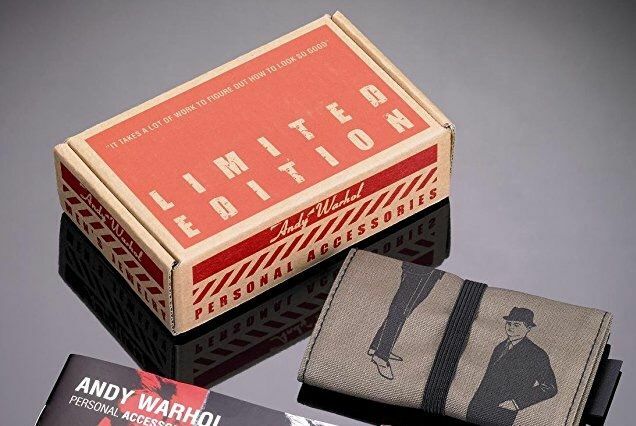 international artists, like Haring, Hirst, Roy Lichtenstein, Modigliani, Hockney, Schiele, Schifano, Kostabi, Robert Indiana.